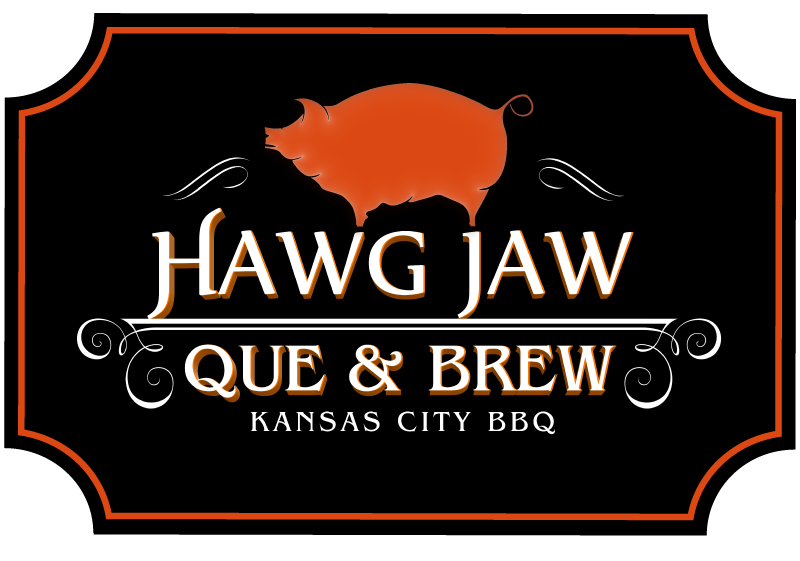 Hawg Jaw Que & Brew is one of Kansas City’s Best BBQ Restaurant. 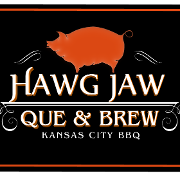 Voted in 2012 By the Kansas City Pitch as Kansas City’s Best New BBQ. Come See What All The Fuss Is About. Check Out Our 20 + Microbrew Beer Selection or One Of Our Artisan Root Beers & Sodas. Enjoy Our 21 Day Age Beef Items Slow Smoked To Perfection! Or Our One Of A Kind Specialty Sandwich’s, The Irish Hawg: Smoked Corned Beef, Smoked Sausage, Spicy Sauerkraut, Thousand Island Dressing, Swiss Cheese, Served On Toasted Marble Rye. Italian Hawg: Smoked Scimeca’s Italian Sausage, Smoked Brisket, Giarderria, Provolone Cheese, On A Toasted Ciabatta Roll, Or The Full Dresser, All Our Smoked Meats, Brisket, Sausage, Burnt Ends, Pulled Pork, Turkey, & Ham On Texas Toast, Weighing In Over A Pound. So Come In And See What Else We Are Brewing Up! We offer catering services from casual events, office parties & meetings to wedding receptions with a wide variety of delicious offerings.